Backed by state–of-the art manufacturing process we are manufacturer and supplier of a wide range of LDPE Shrink Film for Packaging that is used in numerous packaging industries. Our offered shrink film is manufactured by using supreme grade basic material and cutting edge technology. This shrink film is highly appreciated by the clients for its optimum qualities and various other features. Moreover, our provided shrink film passes through different quality tests by our in house quality experts. 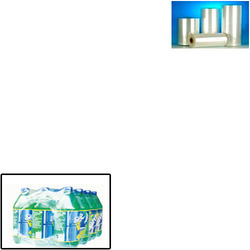 Looking for LDPE Shrink Film for Packaging ?